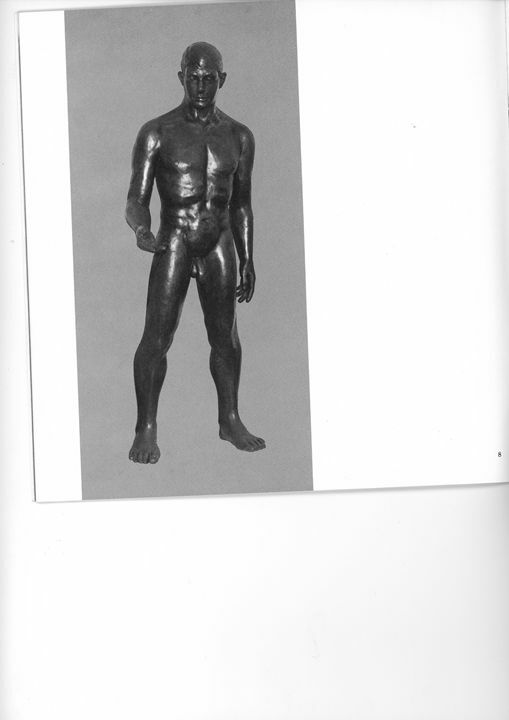 "Man" - 1978 - (pages 8,9 of catalogue) was exhibited and toured internationally as part of "Sculpture Canada '78"; Toronto (MacDonald Gallery), UK (Canada House Gallery, London), France (Centre Culturel Canadien, Paris), and Belgium (Centre Culturel du Canada, Brussels). It was also rented by the CBC for an episode of "The King of Kensington." 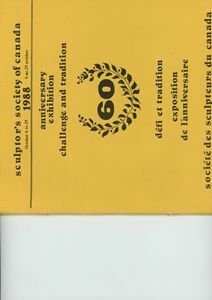 Elisabeth van Duffelen (b.1926, Netherlands) was an active and executive member of the Sculptor's Society of Canada for many years, and her works have been displayed and sold at numerous solo and group exhibitions, including: the MacDonald Gallery (Toronto), Canada House Gallery (London, UK), Centre Culturel (Paris, France), Centre Culturel et d'Information du Canada (Brussels, Belgium), the Guild Inn (Toronto), the Danielli Gallery (Toronto), Harbourfront Gallery (Toronto), St. Thomas Elgin Art Gallery (St. Thomas), the Ukranian Canadian Art Foundation (Toronto), Galerie Colbert (Montreal), and the West End Gallery (Edmonton). 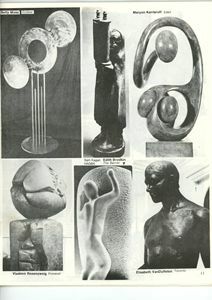 "Waiting" (not for sale) was part of a feature article of the Toronto Calendar Magazine (former Toronto Life Magazine) in 1974 about prominent Toronto artists. 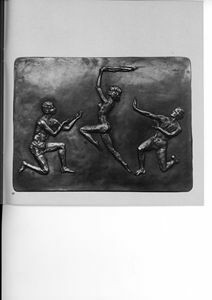 "Girl with Ball" (not for sale) was part of the Sculptor Society of Canada's Permanent Collection. 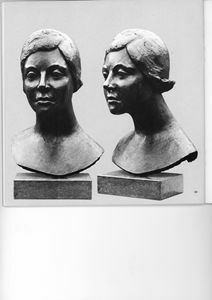 Elisabeth was Duffelen was also commissioned by General Motors to produce the Triple Crown Award. 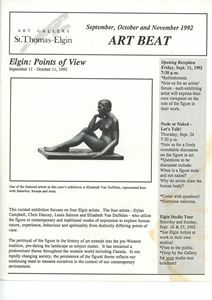 While living in Toronto, Elisabeth served as Education Liaison Officer for the Sculptor Society of Canada, and as President of the Canadian Netherlands Business and Professional Association. 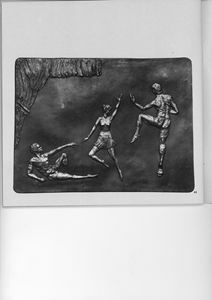 Several of her works are in private collections and offices. 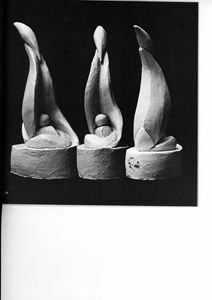 Elisabeth was also featured in two books by Albert van der Mey: "To All our Children," and "The Dutch Touch." 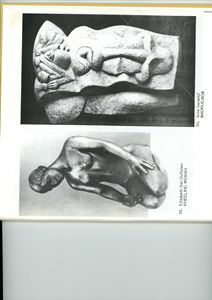 Other reliefs and sculptures not in catalogue are available for sale. 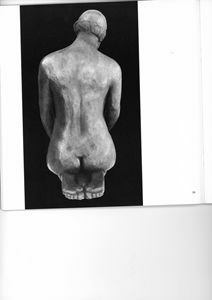 The estate has media and catalogues corroborating the provenance of each sculpture. 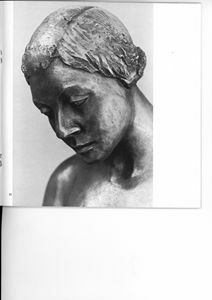 A professional copy of Elisabeth's catalogue accompanies each sculpture sold. 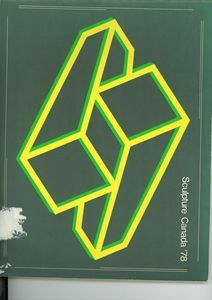 The pieces are in climate-controlled storage in Etobicoke. Buyer pays for shipping.